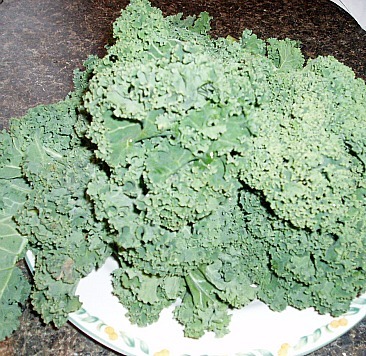 You must learn how to cook kale to be able to enjoy this very tasty and healthy vegetable. It is a form of cabbage but without the leaves forming a head. Kale is used often for garnishes especially the beautiful purple kale leaves. Many people who utilize its beauty for this purpose do not even know about its wonderful flavor and texture when added to recipes. Learning how to cook kale will allow you to know which other vegetables it can be mixed with to make a delicious dish. Kale along with collards and mustard greens must be cooked for a long time due to the coarseness of the leaves. These greens make a wonderful blend of flavors when cooking in a large pot together; just add a chunk of bacon or some ham hocks for seasoning. When learning how to cook kale, learn also how to select it for the best cooking. As when you learn how to cook spinach or other greens, choose brightly colored leaves that are still crisp. These are the young and tender leaves; wilted and yellow spotted leaves are signs of being too old. Avoid extremely dirty leaves showing signs of improper handling. Kale greens that have been left in the fields too long will appear to have woody stems and leaves with thick coarse veins. If possible buy greens that are displayed unpackaged on refrigerated racks; I like this for all fresh vegetables like green beans The refrigeration prevents for the most part the growth of decay bacteria and the open display allows you to see the leaves that you are purchasing. 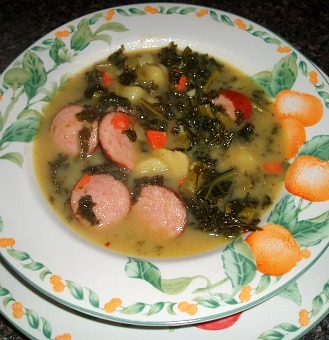 The way I learned how to cook kale is that I purchase it (usually as I purchase other greens); I bring them home and get them cooking immediately; I also apply this to fresh corn for my corn recipes If you cannot cook immediately, store them in the refrigerator for no longer than two days. Do not wash them first because it is best not to allow any added moisture to them when storing; too much moisture encourages bacteria. Before cooking, the tough stems of kale should be removed if you are just learning how to cook kale. Trimming and washing is about the only preparation needed to cook this great vegetable making it very simple. Sometimes you might want to chop it to add to soups and other recipes. The nutritional value of vegetables is generally very high and this is also true of kale nutrition. It is very high in beta carotene, vitamin C, vitamin K, lutein and rich in calcium. As you learn how to cook kale, as in other vegetable recipes the method of which you cook them determines how much of these good nutrients that you preserve. Boiling this green for a long time reduces some of these but this is the method I prefer it because of the coarseness of the leaves. The other thing I found to be interesting (because I count the carbs in my diet) is that kale has more carbohydrates than the other greens; still much better than most foods. Butter an 8X 10 inch baking casserole with 1 tablespoon butter; set aside. Brown bacon in a large pan; add kale, 1 teaspoon salt, nutmeg and chicken stock. Bring kale mixture to a boil over high heat; reduce heat to low and cover with a lid. Cook stirring occasionally until tender about 30 minutes. ADD MORE LIQUID IF TOO DRY. Boil potatoes in lightly salted water until tender; drain thoroughly. 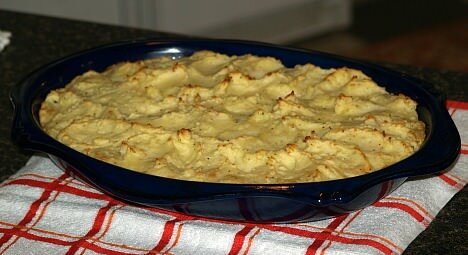 Mash potatoes with mixer gradually beating in 5 tablespoons butter. Slowly beat in enough milk to make a paste; beat in 1 teaspoon salt and a little black pepper. Beat in egg yolks; taste for seasoning. 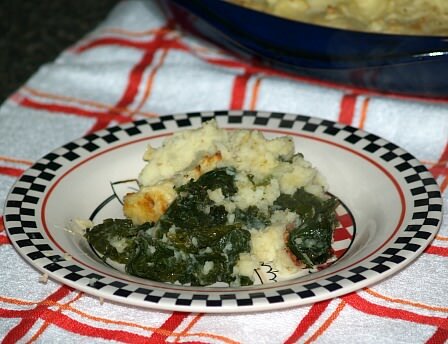 Spread kale over bottom of prepared casserole dish; spread mashed potatoes over top of kale. Dot top of potatoes with remaining butter; bake in oven for 20 minutes or until potatoes are browned. Wash kale in several changes of water. Fry bacon until crisp; crumble and set aside. Add potatoes, onion and carrots to the bacon grease. Add enough water just to cover vegetables. Boil until potatoes are tender. Meanwhile, melt butter; add flour and stir until smooth. Cook about 1 minute. Add milk all at once, blending until smooth. Cook until mixture thickens. Add to cooked vegetables. Before serving add bacon. Top bowls of soup with grated cheese. Kale chips are quite new to me. I still do not know who came up with the idea, but they are delicious and make a very healthy snack. I have been told even using the kale chips in colcannon and other recipes instead of cooked kale. Here is how simple it is to make kale chips. Cut bite size pieces of kale leaves from the stalks. Wash well and thoroughly dry. Drizzle olive oil over the leaves and sprinkle with sea salt, garlic salt or seasoned salt. Line a baking sheet with baking paper and place the kale leaves on the paper. Bake about 12 minutes or until the leaf edges are slightly brown. Bring a large saucepan of salted water to a boil; add kale, cover and cook over medium heat 10 minutes. Drain and rinse with cold water; squeeze out excess water and place in food processor. Add olive oil, garlic and 1 teaspoon coarse salt; process until smooth. Season with more salt if necessary for taste. This can be refrigerated for up to 1 day; serve at room temperature.